PROPERTIES AND TECH THIS DAY AND BEYOND: Lazada and Rakuten Viber team up for the Football World Cup! Lazada and Rakuten Viber team up for the Football World Cup! Who else are excited of the team up between Lazada and Rakuten for the Football World Cup? Nowadays, coordinators and management of the biggest events are using advance technology that caters worldwide. 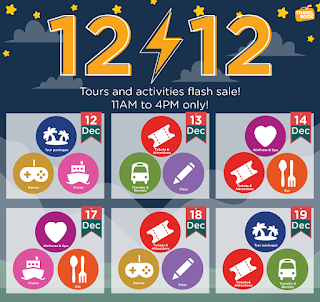 Did you know that Lazada’s biggest sale in July celebrates World Cup fever with the Match Day Campaign? With this July 15 will be a shopping celebration for all as best-selling products will go on special discount. As an added bonus, in partnership with Rakuten Viber, Lazada will be giving out a discount voucher of up to Php 300 if the FREE Lazada Match Day sticker pack gets 20,000 downloads by noontime of July 15. Drop by Rakuten Viber’s sticker mart and download the Lazada Match Day sticker pack now! Tell your friends too, it’s time for a team effort! Go for gold by downloading the Lazada mobile app for free and enjoy great deals during the upcoming Match Day campaign on July 15.